Unlike brown sugar, which is just refined white sugar lightly bathed in a bit of molasses (this is a good thing to know, as you can just substitute brown sugar for white sugar with a bit of molasses added), Demerara sugar is a large-grained, somewhat crunchy, raw sugar with origins in Guyana (a colony formerly called Demerara). 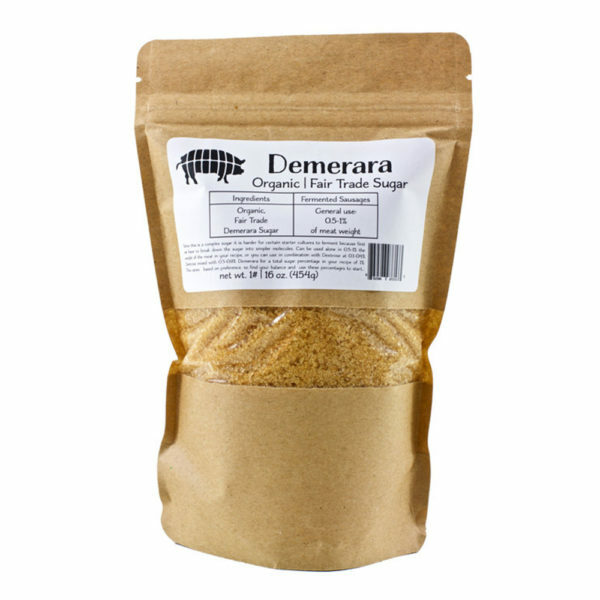 Demerara is a light brown, partially refined, sugar produced from the first crystallization during processing cane juice into sugar crystals (this process is similar to what happens with naturally evaporated cane juice). Unlike brown sugar, which has the added molasses flavor, Demerara has a natural caramel-like flavor that hasn’t been refined out. This lends warm caramel notes to whatever you add the sugar. Also, Demerara sugar is also referred to as Turbinado sugar in many markets, which has more to do with how the sugar is processed in turbines, than where it originates. Since this is a complex sugar it is harder for starter cultures to ferment because they first have to break down the sugar into simpler molecules. 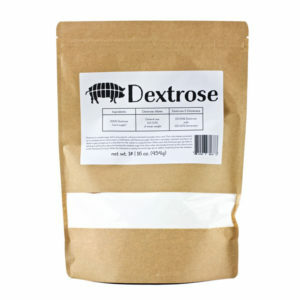 Can be used alone in 0.5-1% the weight of the meat in your recipe, or you can use in combination with Dextrose at 0.2-0.4% Dextrose mixed with 0.5-0.7% Demerara for a total sugar percentage in your recipe of 0.9%.